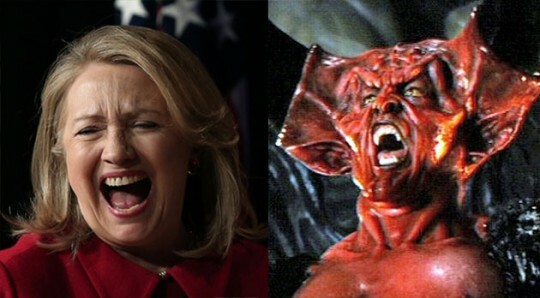 Hillary Clinton will attend a fundraiser in New York on Tuesday hosted by Facebook millionaire and vertically integrated media company caretaker Chris Hughes, who recently described himself in a Vanity Fair profile as "the Antichrist, or something pretty close to it." Hughes is best known for being Mark Zuckerberg's roommate at Harvard and for pioneering the "poke" button feature on the popular social media website Facebook. His husband, Brown graduate Sean Eldridge, was the worst candidate of the 2014 election cycle. Eldridge ran for Congress in New York's 19th Congressional district after Hughes bought him a mansion there. He ended up losing by 30 points, an outcome that appears to rebut the conventional wisdom that America is in decline. Eldridge's humiliating defeat is believed to have precipitated his husband's reign of terror at The New Republic during which, according to Vanity Fair, Hughes "cried a lot." The fundraiser is the power couple's way of saying "thank you" to Clinton for her pointless endorsement of Eldridge in the final days before the 2014 election. Bill Clinton was also the keynote speaker at the New Republic‘s 100-year anniversary gala. The former Free Beacon Couple of the Year award winners are selling their luxury condo in Chelsea (asking price: $9 million) and were not photographed together for the Vanity Fair piece on the "complex power coupledom of Chris Hughes and Sean Eldridge." They were also interviewed separately for the piece. In 1975 the Clintons attended a voodoo ceremony in Haiti. Hillary has also been known to communicate with the dead. This entry was posted in Politics and tagged 2016 Election, Chris Hughes, Democratic Donors, Hillary Clinton, Sean Eldridge, Trolling. Bookmark the permalink.